Hot off the press! Brazilian mushrooms and bryozoans %$#? !….not all reefs are built by corals and coralline algae. 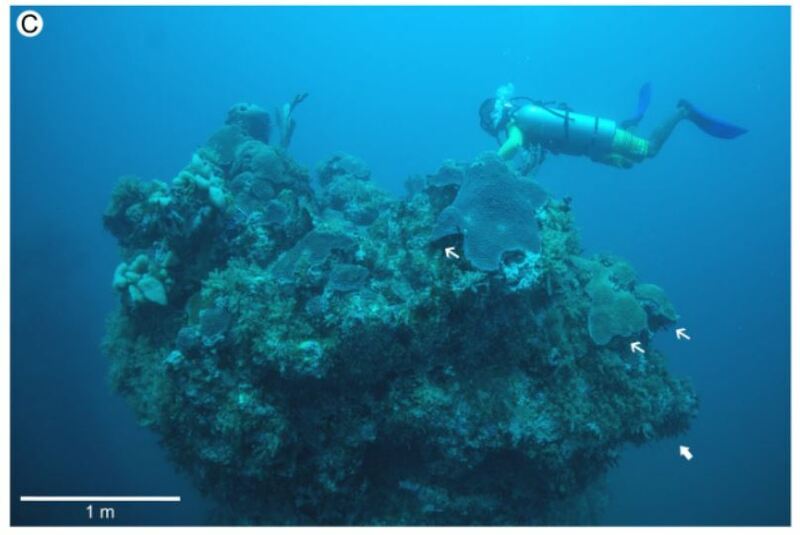 In this study we used underwater cores to investigate Late Holocene reef growth and characterise the main framework builders in the Abrolhos Shelf (Brazil), the largest and richest modern tropical reef complex in the South Western Atlantic. Here the reefs form an unusual mushroom-shaped morphology, locally called “chapeirões”. Rather than a typical coralgal reef, our results show a complex framework building system dominated by bryozoans. 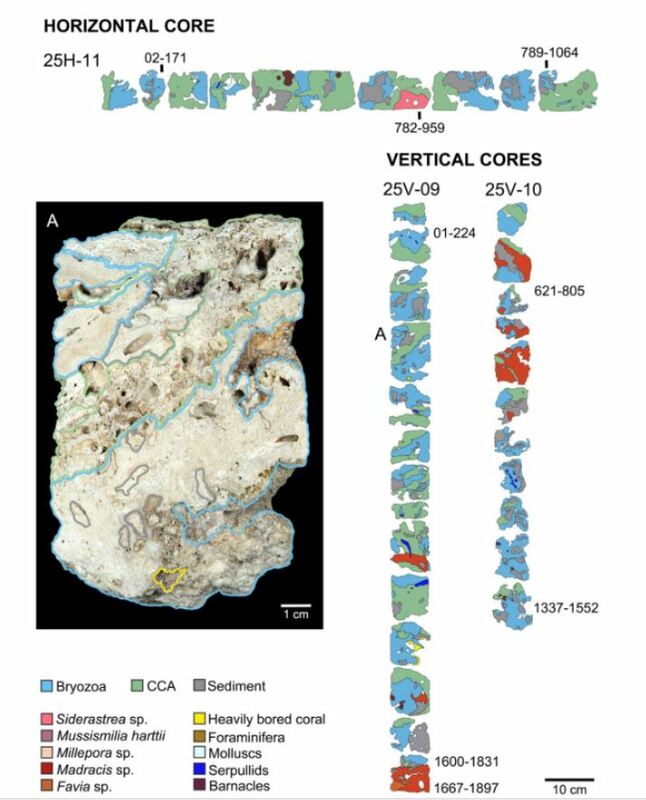 Bryozoans were major components in all cores and age intervals (2,000 yrs BP), accounting for up to 44% of the reef framework, while crustose coralline algae and coral accounted for less than 28 and 23%, respectively. Bravo Alex and the team! This fruitful collaboration started a couple years ago when I was fortunate enough to visit Brazil several times as an International Visiting Researcher supported by the Science Without Borders Program.